Does Your Behavior OR Your Belief Make You a “Good Person”? Behavior OR Belief: What Makes You a “Good Person”? I’m sure you’ve seen the photo online advocating that it is your behavior and NOT your belief which makes you a good person, right? You behave a certain way BECAUSE of what you believe! Therefore changing your behavior STARTS with changing your beliefs. Changing your BELIEFS therefore is essential to changing your behavior! 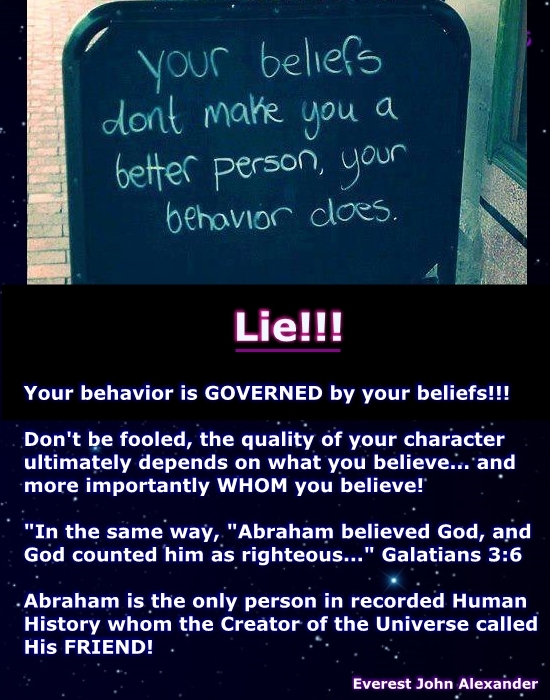 Therefore becoming a “good person” (what the bible calls, Righteous) begins with what you BELIEVE… NOT with what you do! After you become a “good person” (Righteous by faith) THEN you are expected to do “Good Deeds” BECAUSE you are righteous! We Christians are expected to do good deeds because we are followers or imitators of Jesus Christ. We don’t do good to TRY TO BECOME righteous… We do good because we ALREADY ARE righteous and are simply doing what comes naturally to us, which is… imitating Jesus Christ! What Are The Two Scariest Bible Verses? What Are the Two Scariest Verses in the Bible??? I just watched a preacher rant and rave on Facebook about what he considers to be the two scariest verses in the Bible. After listening to him preach on these two passages for a while I feel compelled as a Bible Teacher to correct the wrong doctrine that I heard. There is nothing scary in the Bible for the Born Again Believer! Only the ignorant and uninformed are scared by Bible passages. 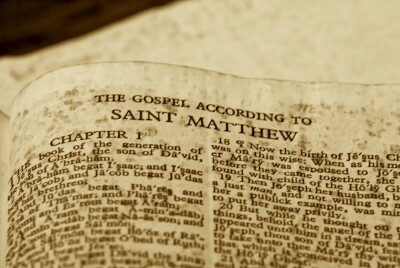 What Jesus said in Matthew 6:14-15 was directed to His disciples who were still under the Old Covenant. The Old Covenant was CONDITIONAL, meaning IF Israel did what God said THEN they would receive blessings BUT if they did NOT do as He instructed they would be cursed. That’s why in Matt 6:14-15 Jesus taught forgiveness the way He did. One simple fact that most Christians fail to realize is that all of Jesus’ teachings while here on earth were specifically to His Jewish Disciples under the Old Covenant. 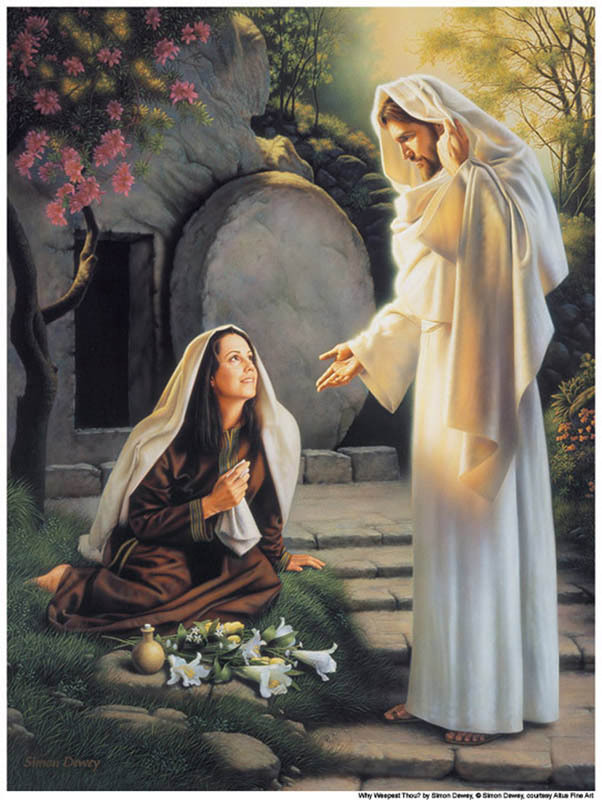 After He died for our sins and was resurrected in glory the Covenant was CHANGED! 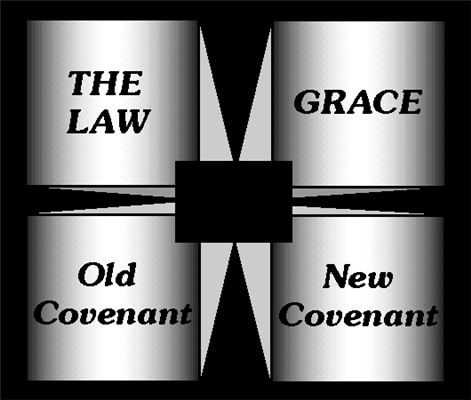 The New Covenant was explained largely through the letters of Paul and the other New Testament writers. 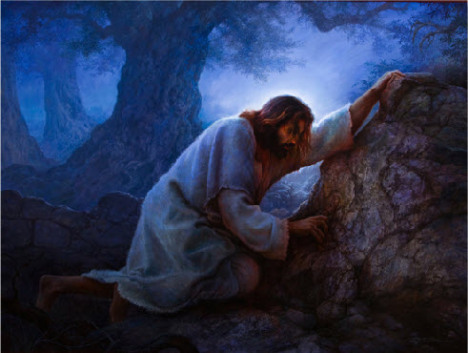 Under the New Covenant which Jesus died to ratify, the principle of forgiveness is different. Notice what God says here, you are already forgiven because of CHRIST not because YOU forgave others. This New Testament command is superior to the Old Testament command given in Matt 6 because now you are forgiving others simply because it is the right thing to do! You are no longer forgiving others because you want to be forgiven yourself. The New Covenant teachings says, You are already forgiven because of what Jesus has done for you, now take what you have freely received and go out and freely give it to others! As a Born Again Christian you are permanently forgiven by God because of Jesus’ eternal sacrifice at Calvary. There is nothing you have to do nor CAN do to earn God’s forgiveness… It’s done! Now that you know this, you have a greater incentive to go out and forgive others which is the love of God you have already received! Matthew 7:21-23 cannot be directed at Born Again Believers! The people who are claiming to have done all these wonderful works are religious people but NOT Born Again Believers. 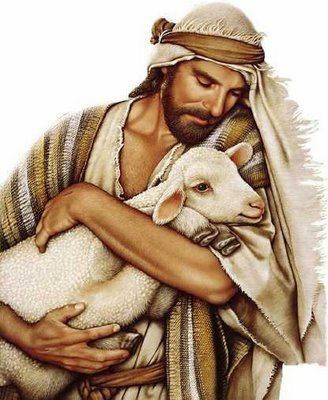 If He never knew them then they were never His sheep, they were never Born Again. Anyone preaching, teaching, quoting scriptures that bring fear and intimidation to you is NOT properly schooled and needs to have their doctrine corrected. Do NOT listen to preachers who are misquoting the word of God and using it to intimidate you. They may be well-meaning and very sincere in their efforts but they are sincerely wrong! 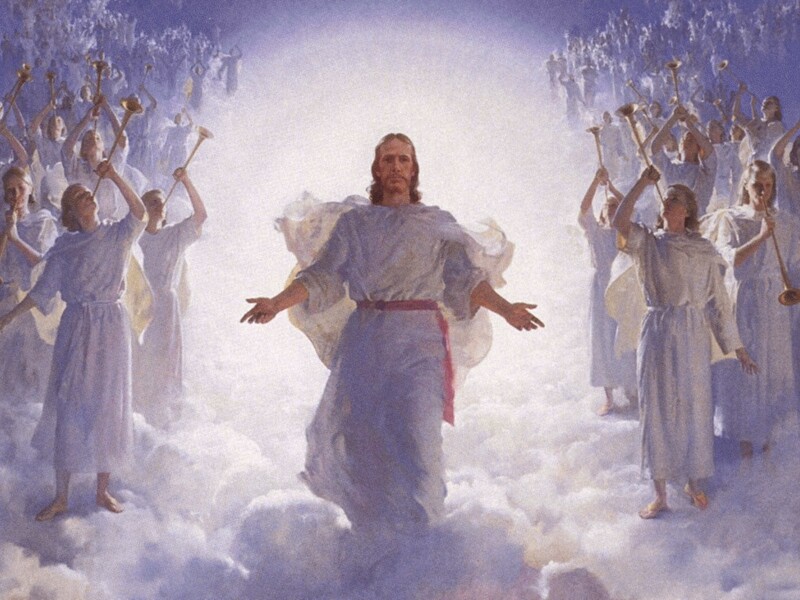 The New Covenant established with the shed blood of our Lord and Savior Jesus Christ is about God’s love to and for us and how much He wants us to come back to Him and belong to His family once more. Make NO mistake… God has never and will NEVER compromise with sin! But that’s the very reason why He poured out ALL His wrath on Jesus Christ! Jesus took ALL of God’s judgment on the cross! If He took all God’s judgment at Calvary then why are you living in fear of God’s judgment still? God spent all His judgment on Jesus, there is no more for you! 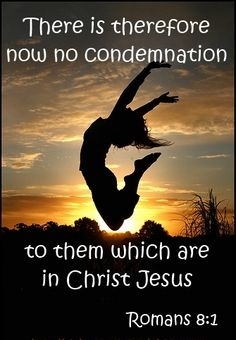 There is therefore now NO condemnation to YOU who are in Christ Jesus!!! The Bible commands us Born Again Christians to live holy BECAUSE we are redeemed NOT because we are TRYING to get redeemed! Stop putting the cart before the horse… you have it backwards, because you have been taught wrong for years! Open your eyes and come into the light! It is the fear of God’s judgment and the spirit of condemnation that has been holding you back from experiencing your full potential in Christ Jesus! Be LOOSED in Jesus Name!!! AMEN!!! “Mmmmm… That looks gooood,” she thinks, as she stands in the midst of the Garden. She stares at it longingly with a glazed look in her eye. Her pulse races as she reaches up a trembling hand and touches it. Eyes darting from side to side – She’s unobserved. Her heart is hammering now as she pulls on it until it separates from the branch. Mouth watering as she looks at it and just for the most flickering of moments there’s a sadness that washes through her soul. “Can’t worry about that now, this is what I’ve been dreaming about ever since that first suggestion,” the thought caresses her conscience and lulls it to sleep. “He’s not far away; I think I’ll share this with him. “Oh, there he is.” She hurries to him. “Look honey!” She bites into it, juice dripping down her hand as her eyes widen with wild delight and frightening realization. He’s faced with a dilemma. “She’ll be destroyed,” he thinks to himself. “I’ve got to do something! OH GOD! How could I let this happen? He takes it from her outstretched hand and bites into terror and pleasure all at once! It’s silent in the Garden now. Stillness makes her home there and Death is a permanent guest. Omniscient, HE knows exactly what’s taken place. HE walks in the Garden just like before, but they don’t come running, no smiling faces… Silence. HE calls them, they come kneeling, trembling, undone. “What did you do,” HE demands of him. “Uhhhhhhh… This pain is unbearable,” He thinks, as He kneels in the midst of the Garden! He’s alone, His mind races forward to the ordeal ahead. He understands the purpose and knows it MUST be done. He sees the whip, the nails and the tree. Beholds the blood, the sweat and tears. He hears the cursing, taunting, threats. Misery weighs heavy on His soul. He goes to where His friends are for some support, some strength, something. Nothing… They’re asleep. He returns, kneels, bows, “OH GOD… PLEASE LET THIS PASS!! !” HE bleeds a prayer to God. “Nevertheless, as YOU will, Father,” He breathes a prayer to God. “Ohhhhhhh… Where have they taken You, My Lord,” she wonders, as she stands in the midst of the Garden. Heart aching with love for her Lord who was and is not, no longer a comforting touch, a smile or word in due season. “Why did You leave, why did You have to go away?” She sobs. She goes and tells them. They run and come to see. He’s not there! “Where is He?” They leave wondering. She stays and looks and sees… Angels! “Mary,” says He, and she knows. In a moment, in the twinkling of an eye, the light of revelation dawns within and she begins to understand everything. 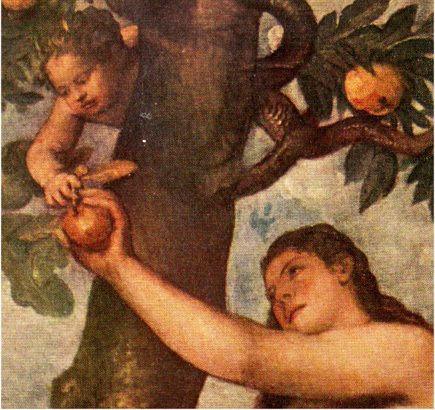 The Seed of the woman brings victory! I’ll thank God for what He did for me.